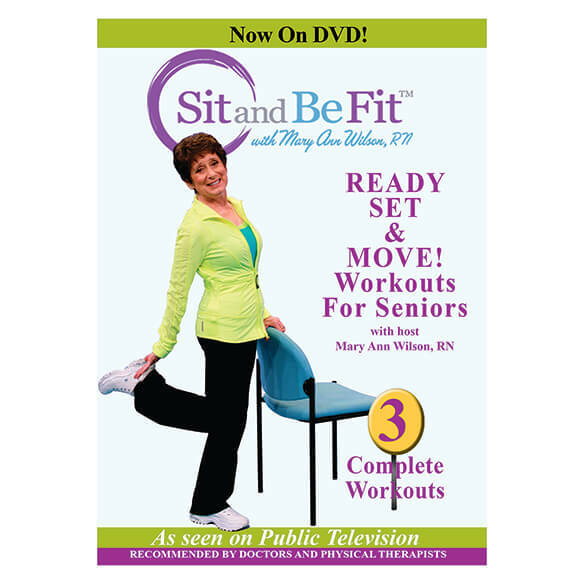 Professionally designed by producer/host of Public Television's Sit and Be Fit television program, Mary Anne Wilson, RN, this Sit and Be Fit™ Ready, Set & Move DVD features workouts created to get anyone moving! Helping you build a stronger body at any fitness level, workouts include "Stretching", "Healthy Aging" and "We've Gone Country". Mary Ann leads viewers through fun, easy seated and standing exercises designed to improve mobility, flexibility and circulation. Sticking with any exercise program is easier when it fits your schedule, and this sit and be fit DVD lets you enjoy safe, effective fitness in the comfort of your own living room or den—empowering you to strengthen your body, feel great and age well! I've seen something similar to this on tv and want to try it.